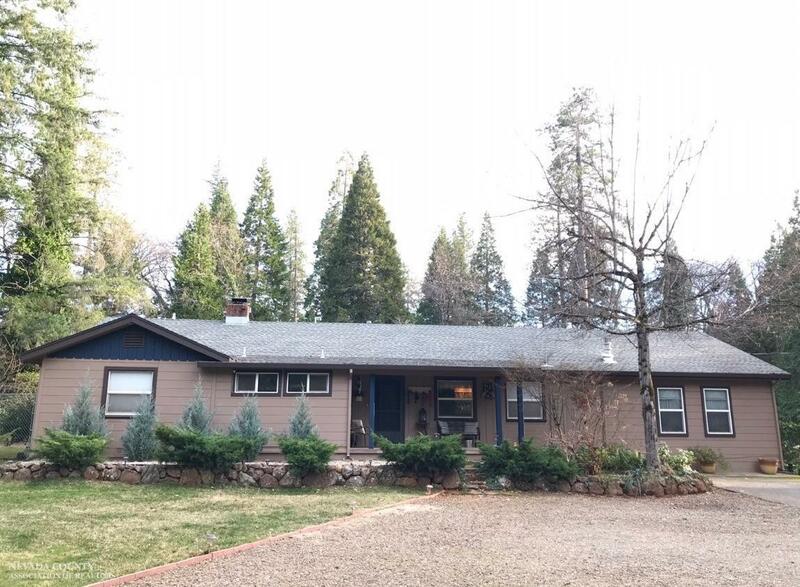 Nevada City ranch style home on over one level acre. The property is completely fenced and large enough for gardens or a pool. There are three bedrooms and two baths in main living area plus attached bonus room with its own half-bath and separate entrance. Perfect for extended family. The sun room is connected to a lovely generous open living room and kitchen. Large 2-car detached garage and a storage shed, RV parking and solar is owned. Convenient location, close to shopping and schools.